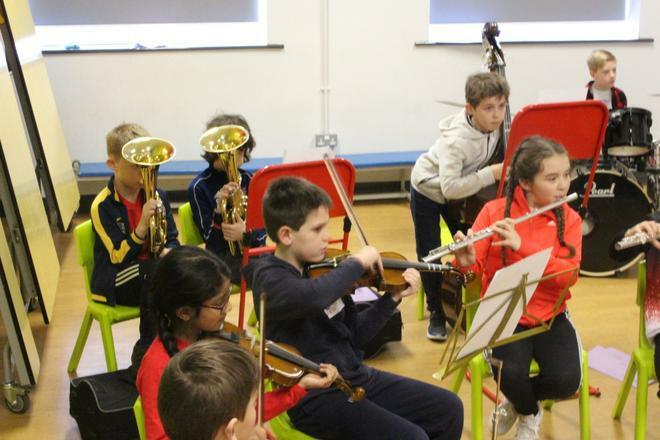 I was lucky enough on Friday to be invited to watch our school orchestra perform their first finished piece during their weekly practice ...and it was fantastic! 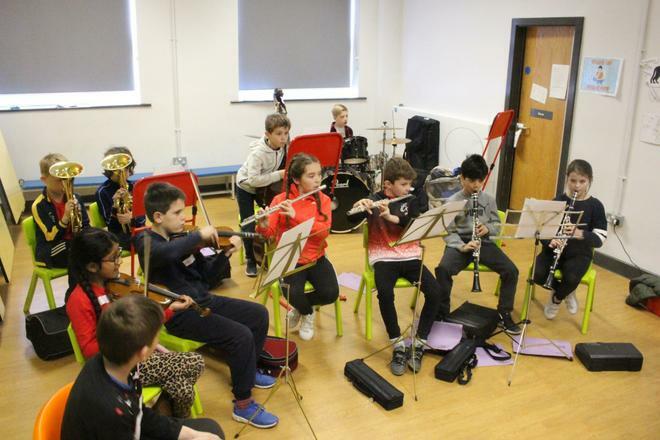 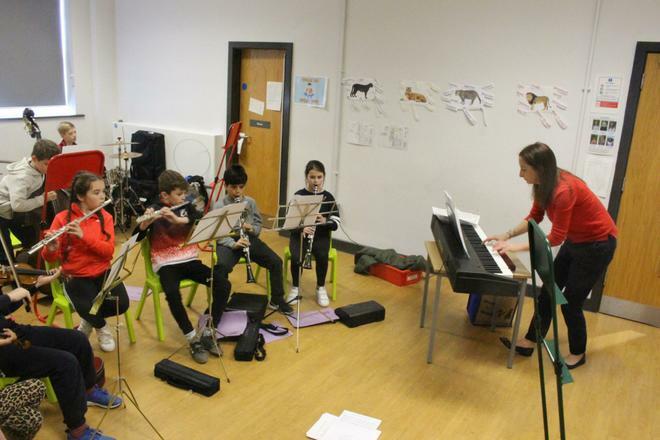 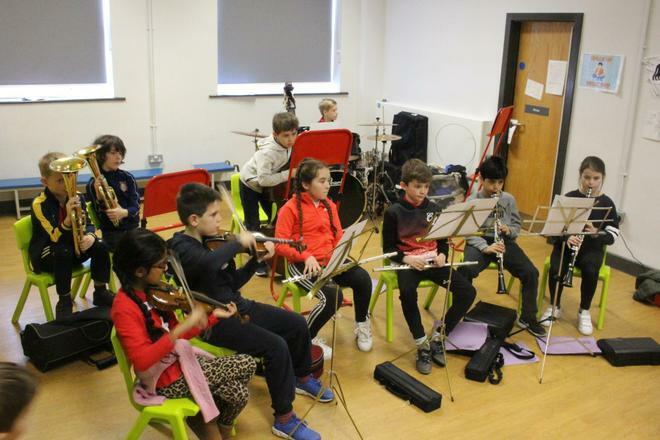 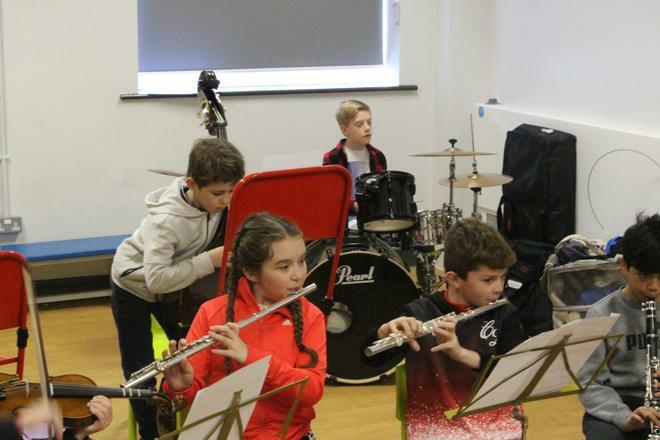 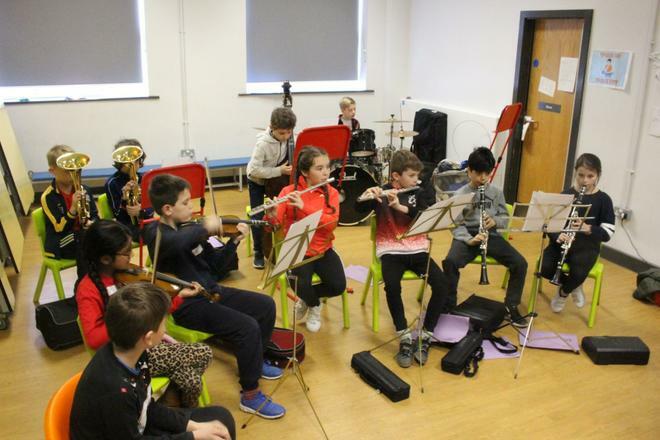 The orchestra was only established after Christmas and is being led by Mrs Love, a parent and music teacher. 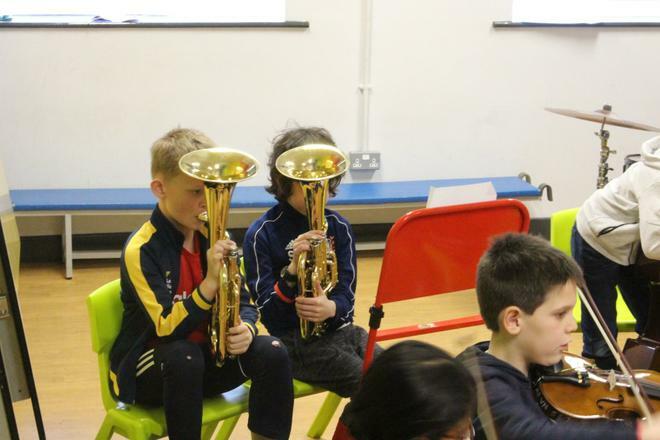 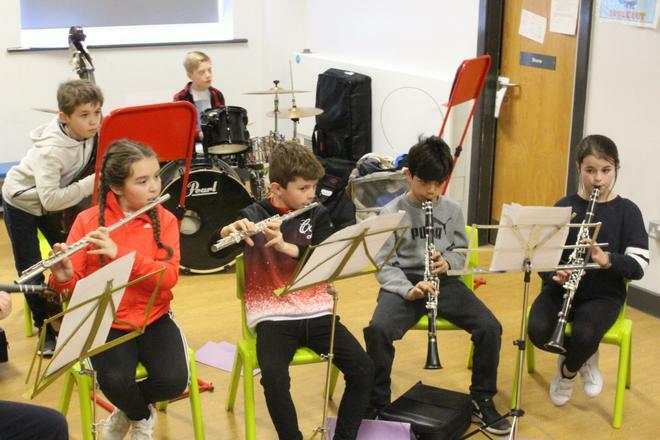 One of the key skills for playing alongside a range of other instruments is the ability to listen whilst following your own music; it's not easy! 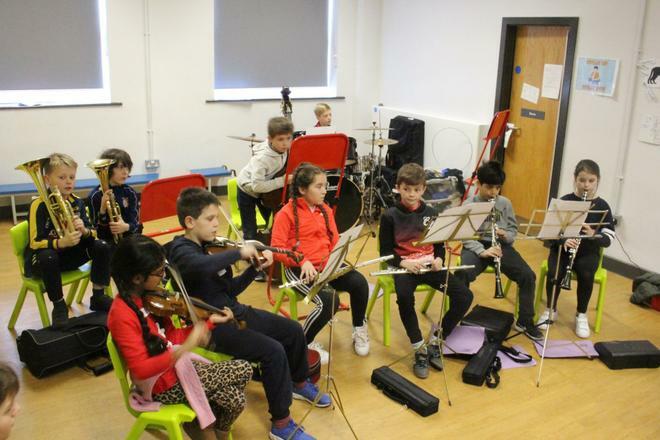 The orchestra are planning to perform to the whole school and parents towards the end of the year so watch this space!